Advanced Email Features- Check the list of the features the providers offering with their email packages. And make a list of features your business needs. Do the choice accordingly. Pricing- The pricing of the packages matters a lot. Select the provider which offers the email marketing in your affordable budget including all the upgraded features. Also, check if they have some hidden charges. Customer support- The support team of the email service providers must be very professional and aware about their duties. So, then whenever you have any issue with your email service, they can help you out instantly without any delay. These points help you to find out the best email marketing software providers in India. I did some research and make your email providers research easier. I listed some best email marketing service provides. I compiled all the features and facilities they are providing and make the list of the best ones. MailChimp a big name in the email marketing industry. They provide email service which is best for SMEs to grow their businesses faster. If we list the features of MailChimp all the features of email marketing with trendy upgradation available in their affordable price packages. Sarv.com is a combination of web solutions and good customer support. Sarv’s email marketing software seems a perfect match for the SMEs and bloggers. The email service they provide due to their best efforts of customer support with advanced upgraded features proves them different from other email service providers in India. AWeber is an email automation platform which offers best for podcasters and SMEs. You will get the easy to use email campaign automation tools to run the email series. The advanced tool AWeber provide for tracking the automation campaigns help you to analyze your campaign success with each of the parameters you set to analyze it. Sendgrid provides a cloud based powerful solution which helps you to send the transactional and promotional emails to your customers with the best email infrastructures. They guaranteed you about the email deliverability with the 30+ member’s team which are deliverability experts focused on your email delivery. GetResponse provides the best compelling email service for your business with the reasonable pricing. The UI of the GetResponse is superfast and easy to access. With the GetResponse email service platform, you can grow your ROI by promoting your business in a more professional way. Campaign monitor in-built newsletters lead to engagement for a long time. Your email subscribers will be happy to see the beautiful templates from your side. They deliver the emails which your customers can’t ignore. You can add the human touch in your emails using the personalization tool of campaign monitor. 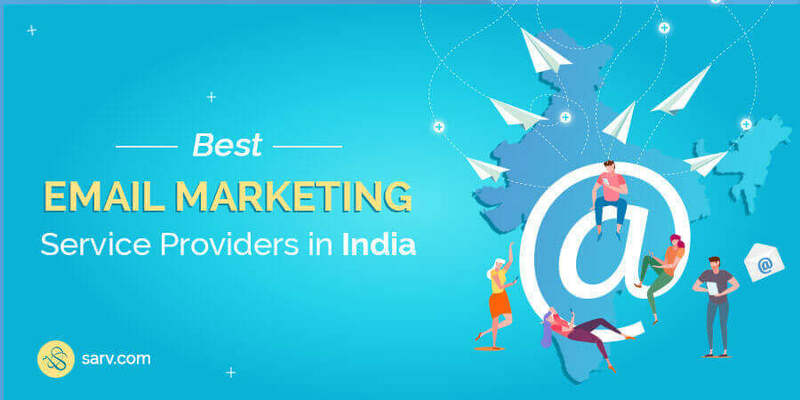 This is the list of 6 best email marketing software providers in India with their specialization, each providers is different others in a unique way. So, choose the best one according to your business needs and get the expected best business results.